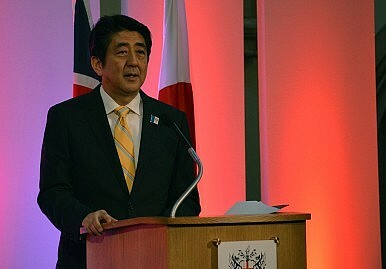 Abe’s focus on Yasukuni and Japan’s history distracts from important tasks. Shinzo Abe’s pilgrimage to Yasukuni rekindled stereotypes of a hawkish Japan. These were reinforced by the fanfare surrounding the new National Security Strategy and defense plans. The rationale for a much stronger SDF exists. One does not need to be paranoid to be very concerned about China. Moreover, since the 1950s, Japan has relied on a combination of its own and American forces for protection. But for some time there have been doubts in Tokyo about U.S. reliability, as illustrated by the disagreement over the response to China’s Air Defense Identification Zone. These concerns partially stem from doubts about the Obama Administration. The previous president pivoted towards unwinnable campaigns in Southwest Asia, to the great benefit of China, as well as Iran and Al-Qaeda. The curtain call was a doomed deal with Pyongyang. But, due to the well-known “Japan hands” on the Bush team, some Japanese miss the Republicans. Americans are indeed sick and tired of war. Isolationism is rising. The Pentagon is on a diet (though hardly starving). It is now harder to call on Americans, to paraphrase Shakespeare, to rouse yourselves “as did the former lions of your blood.” (Exeter in Henry V). Though doubts about the U.S. willingness and ability to act are much exaggerated, the American umbrella appears less formidable. We would thus expect Japan to beef up its defenses, but its goal is an underwhelming rise in funding of less than 5 percent (some say 2 percent) for the next five years. With the depreciated “Abenomics yen,” some (maybe most) of the additional monies will pay bigger bills for fuel and foreign equipment. New initiatives may contribute marginally to increased cost effectiveness for the SDF, but in the end to enhance its military power, Japan cannot avoid spending more. For several decades, Japan has put aside at most 1.5 percent of its national income on defense if paramilitary expenditures, such as space, are included. A narrower definition brings the fraction down to 1.0 percent. The country is not doing significantly more now than during the “unipolar moment” of the George H.W. Bush era after the Soviets were crushed and before China’s emergence. We cannot analogize Japan with the American Empire, which has been at war and/or preparing for Armageddon for the past 75 years, but comparisons with Europe are valid. Cold War military appropriations of the large European NATO states hovered around 2.5-5.0 percent of GDP from the 1970s onward. The benchmarks for Japan are West Germany and Italy, which unlike the U.K. and France spent neither on nuclear deterrents nor on out-of-area missions. In 1978, after a decade of détente in Europe, West Germany invested about 3.2 percent of its GDP in defense and Italy 2.1 percent. Germany bore the added expense of land taken up by the armed services (much more than in Japan) and tons of deutschemarks pumped into Allied-occupied West Berlin. Unlike the SDF, West Germany and Italy saved money by paying conscripted soldiers below-market wages. In 2011, Italy and Germany, whose environment is less dangerous than Japan’s, were in the 1.3 percent range, i.e. more or less where Japan is today (and no one argues that the SDF is getting more “bang for the buck” due to greater efficiency). Moreover, many rightly think that Europe now dangerously under invests in defense. In the Asia-Pacific, South Korea, Taiwan, Singapore, and Australia have larger outlays relative to gdp than Japan. The new Australian cabinet promised to boost defense from 1.59 percent to 2.0 percent over the next decade. Defense accounts for less than 10 percent of the Japanese national budget excluding debt service. Bringing down other items by less than 11 percent would allow a doubling of military appropriations (local government spending and off-budget items, which fund many services, would be unchanged). A larger SDF would compensate for many cuts by boosting demand and employment. If Japan’s survival is at risk, this is a small price to pay. Alternatively, military spending could be a “second arrow” stimulus, making a larger deficit an option. If the SDF budget doubled, Japan would still allocate a smaller fraction of its wealth to its armed services than West Germany in the late 1970s and be in line or just above Italy’s posture then. At least 97 percent of its economy would remain civilian. Japan’s capabilities would improve, but the country would not be transmogrified into Godzilla. Concerns about American reliability would remain, but attenuate. Tokyo would increase its influence in Washington in line with its greater commitment to national security. Why has this not happened? First, ingrained pacifism, a feeble military-industrial complex, and inertia, makes altering the budget particularly hard. Second, Tokyo probably still expects the U.S. cavalry will ride to the rescue. Third, Abe prioritizes the past over the future. Praying at Yasukuni will neither deter China nor help the SDF. Nor will it inspire the citizenry since most Japanese are out of sync with “Yasukunism.” The visit undermines ties with two U.S. allies (Japan and South Korea), helps the Chinese Communist Party mobilize the masses against Japan, and convinces South Koreans, Americans, Australians, Singaporeans and others whose countries are in Japan’s camp, that Japan is run by a war criminal-loving clique (which it isn’t). An alternative strategy would be to disburse considerably more on defense and simultaneously go into “overdrive” on the apology front, make concessions to South Korea on contentious issues, and portray a more potent SDF to the Japanese people and foreigners not as a “nationalist” move but as a reasonable step to counter Chinese (and North Korean) provocations in a spirit consistent with a desire for peace. West German Chancellor Helmut Schmidt (in office 1974-82) provides a relevant template, i.e. a measured but forceful response to the Soviet challenge, promoting European cooperation, leaving the door open to negotiations with Moscow, and zero tolerance for the Nazi past. As Vice Premier Taro Aso would say, this is a chapter of recent German history worth studying. The Japanese government seems not to understand how its country is perceived overseas.